Wherever you need to spray a large area or where a pressurized spray is needed, the Large Animal Pressure Sprayer is your answer. 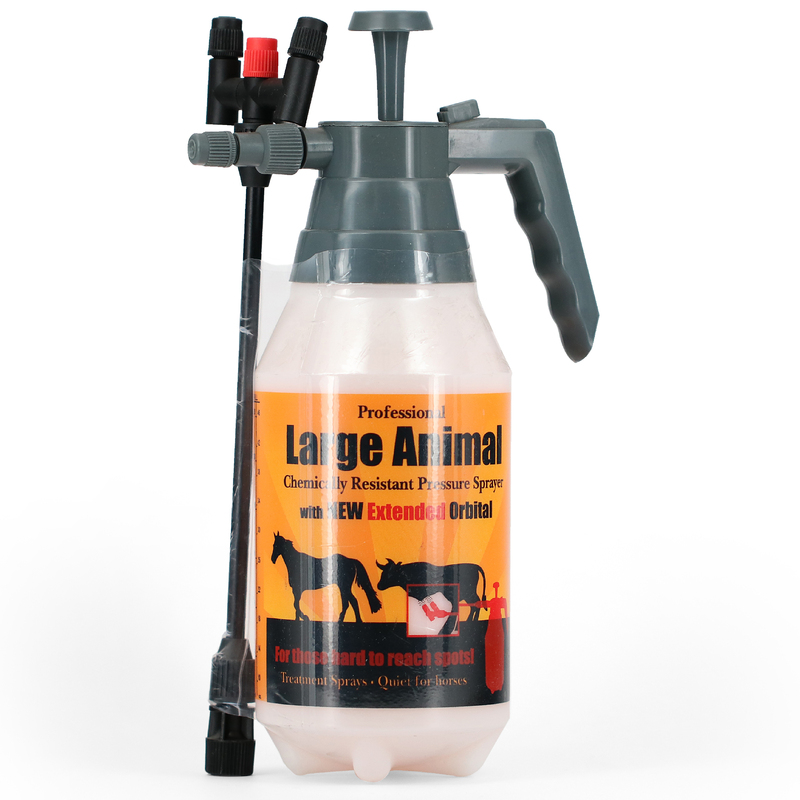 This Large Animal Pressure Sprayer can be sprayed continuously with one hand, because of the lever lock that makes it easy to spray large areas. The Large Animal Pressure Sprayer is chemically resistant, making it perfect for spraying medicinal chemicals, therapeutic treatments, insect repellents, specialty chemicals and many other types of liquids. We have added special parts that greatly extend the range of compatible chemicals so that you can dispense the broadest range of chemicals. Delta Industries offers a unique optional Extender Orbital Nozzle Wand which permits easy access to hard to reach places. 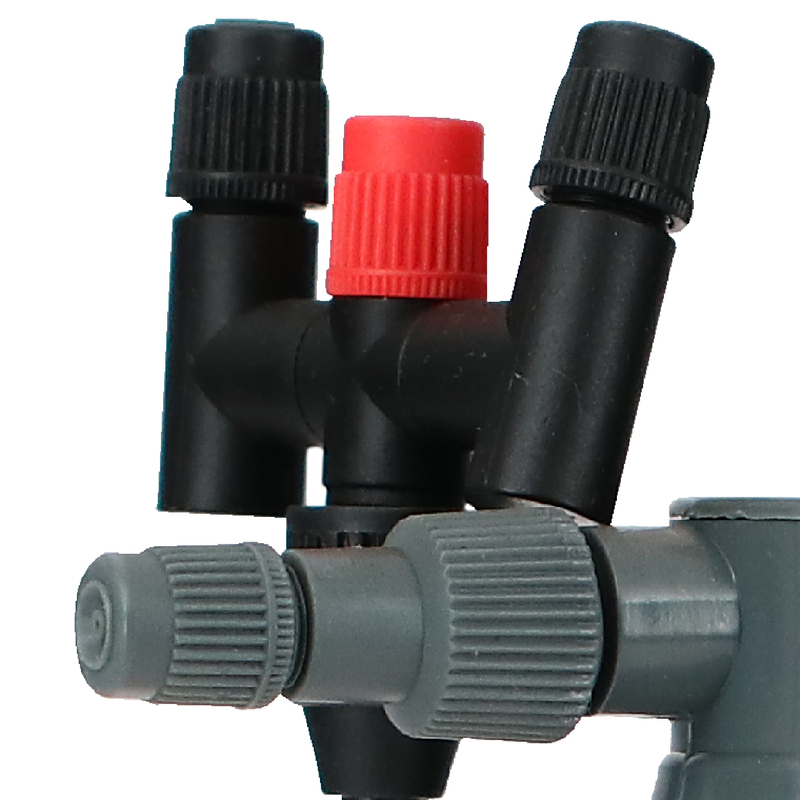 This extender nozzle allows the user to stand farther from the area being sprayed. The nozzles rotate so the powerful spray can be aimed precisely. You can choose to operate one nozzle or two nozzles, and the nozzles rotate independently so you have maximum flexibility to spray in two directions or concentrate the flow in one direction. This Extender Orbital Nozzle Wand is also chemically resistant.